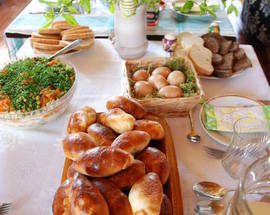 In modern times, Latvians celebrate Easter much as other Europeans do. 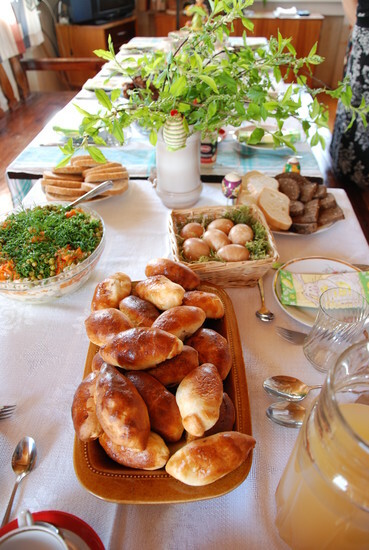 Although not the most religious of peoples, Latvians usually attend a church service and spend the rest of the four-day weekend eating eggs and visiting friends and relatives. 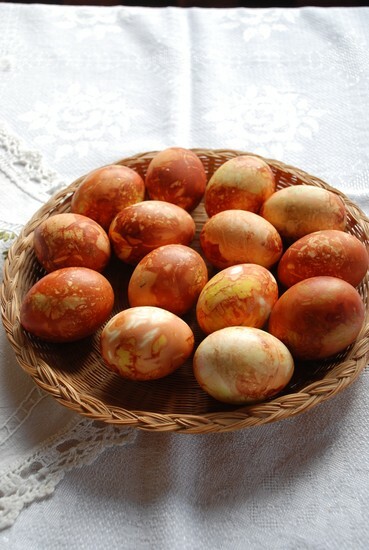 Families often colour eggs, or olas, using natural materials as their ancestors did. Sadly, globalisation means that plenty of modern dyes are also available at supermarkets. 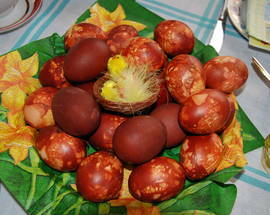 For a traditional Latvian coloured egg, you’ll need discarded onionskins, decorations (small flowers, seeds, pine needles, etc. ), some gauze and a length of string. Wet the egg and then sprinkle the decorations on the egg so they stick to it. Then place the egg in the onion skins and wrap it up in a piece of gauze tightly, or better yet, a small section of pantyhose. Tie the ends with string and then boil the egg so the shell absorbs the brown colour of the onionskins except where the decorations were stuck. 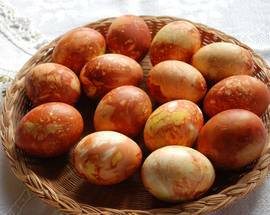 Rinse off all of the seeds, pine needles or whatever and in the end you’ll get a brownish-yellow egg with funky patterns where your decorations of choice were placed. If you can’t find white eggs at supermarkets in town, just head down to the Central Market a couple of days before the Easter holiday and you’ll find people selling white eggs and onion skins. Another tradition that’s still practiced in the countryside is the building of giant swings. In earlier times large crowds would gather around the Easter swings and unmarried youngsters would look for suitable partners to swing with. Each couple would then swing as high as they could to promote fertility. 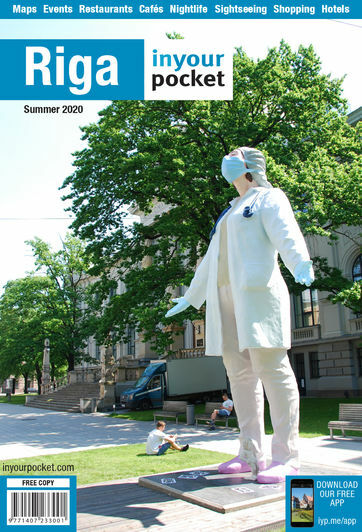 This year, Easter will be celebrated from Good Friday (April 19) until Easter Monday (April 22), so expect many souvenir shops, museums and maybe even some cafés to be closed in Riga. Large shopping centres and most bars, however, will still be open. 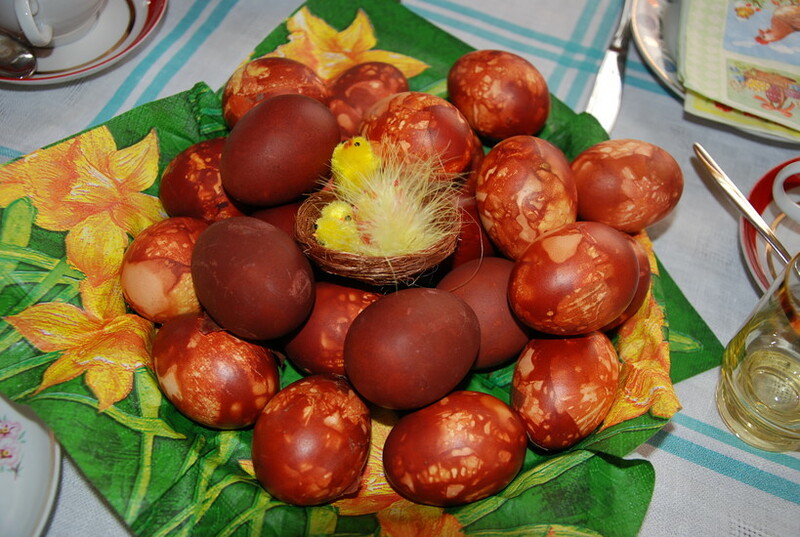 For an authentic Latvian Easter with singing, dancing, swinging and egg colouring visit the Ethnographic Museum on April 21 and 22 from 10:00 - 16:00.